There are few investments you will make that are more significant than your home. Due to that fact, increasing comfort, reducing maintenance fees, and raising your home’s value are some of the most crucial steps that can be taken to ensure that your investment is worthwhile. At Arizona Foundation Solutions, we share your concern for the integrity and value of your home. That's why we provide complete foundation services that will keep your home structural sound for years to come. The intricacies of soil, foundation, and structural components can be overwhelming even to people with industry experience, which is why we will always work with you to help you understand what work needs to be completed and why. We always maintain transparent business practices, so at any point in time you can verify that the work being done is appropriate for your situation. Don’t waste money trying to fix your foundation without knowing the cause of the problem and the best way to fix it. With help from Arizona Foundation Solutions, you’ll understand both! 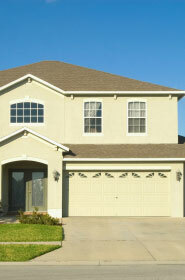 We proudly offer our services throughout Arizona, and have helped many homeowners solve their foundation problems. Call us at 1-602-598-5603 or click below to schedule a free inspection for foundation repair today! Misaligned or sticking doors and windows: If your windows and doors aren't level or are difficult to open and close, you could have a sinking or settling foundation. 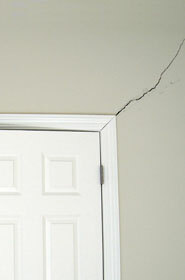 Sheetrock cracks: Cracks in the walls can indicate settling foundations and other issues. Sloping or cracking floors and tiles: If your floors are becoming uneven, sloped, or cracking, there is a good chance you have a sinking or settling foundation. Cracking and splitting walls: Stair cracks and other splits in exterior walls are common signs that foundation repair is needed. Significant gaps near windows and doors: If your windows are separated from the walls or unlevel, you could have an sinking foundation. 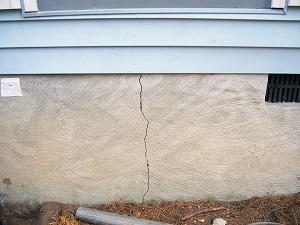 Foundation cracks: Any visible cracks in the foundation are a clear sign that there is a foundation problem such as settling. Fascia board separation: If your fascia board is separating from the eaves, you could need foundation wall repair. Gaps around garage doors: A garage door that doesn't close or has gaps is a sign of an unlevel or settling floor. Wall rotation: Rotating walls indicate foundation problems such as sinking or settling. 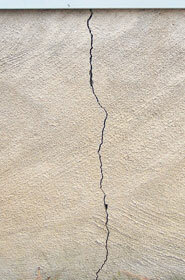 Cracks in walls: If the walls of your garage are cracking, you could need to raise your foundation or support your walls. Don't wait until your foundation damage becomes severe to get professional foundation help. If you recognize any of these foundation warning signs in your home, call Arizona Foundation Solutions today. Whether you have wall or floor cracks, a settling foundation, or any other foundation problems, we have an effective and permanent solution. Our expert inspection will identify the real source of your foundation problems, and we are happy to work with you to find the best possible solution for your home. Call us today to get started with a free estimate! We proudly serve throughout Scottsdale, Mesa, Phoenix, Glendale, Sedona, Chandler, Scottsdale, Flagstaff, Peoria, Prescott, Payson and the entire state of Arizona.